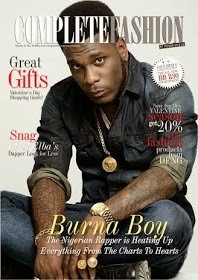 Burna Boy and Lami Philips cover the latest edition of Complete Fashion magazine. Looking wonderful in a denim outfit and gold accessories. In the interview, Burna talks about his career, love and music among other things. 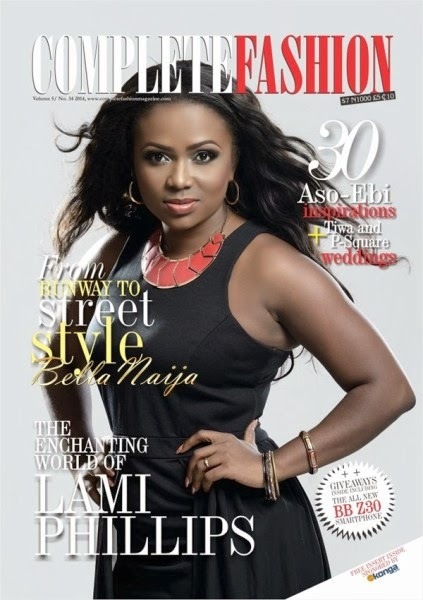 The magazine also gives us an insight on “The Enchanting World of Lami Phillips” who sizzles in a black peplum top. Deputy Editor of the magazine, Onah Nwachukwu shares some insight on the Valentine’s issue. “Our Valentine’s Issue updates Complete Fashion faithful readers on gift ideas, trends and of course Aso-Ebi styles from two of the most awaited weddings of 2013. Our female cover talent, Lami Phillips is one who is truly enchanting. Speaking to her totally changed my perception of the petite lady I saw as I walked into the studio. One word from her you could feel strength on one hand, and on the other, warmth and passion. Talk about having the perfect balance. I must say that I expected Burna Boy to be hyperactive but much to my surprise, he was very calm. You could tell that inside of him is a jar of talent waiting to burst out. We haven’t seen anything yet. As for his take on love… you’ll just have to read about it. Also check out our special luxe jewellery collection in ‘Shine Bright’ featuring valentine gift ideas for him and her. Don’t miss out on our special insert in this issue featuring Konga.com and their brilliant guide to light up the season of love.